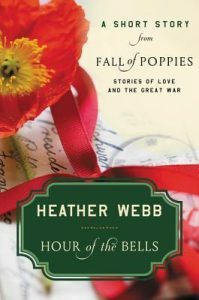 Tall Poppy author Heather Webb’s works have been featured in the New York Times, Wall Street Journal, Entertainment Weekly and more, as well as received national starred reviews. 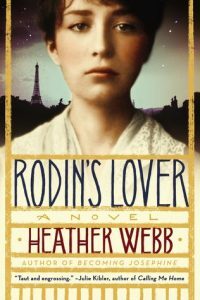 In 2015, Rodin’s Lover was selected as a Goodreads Top Pick, and in 2017, Last Christmas in Paris became a Globe & Mail bestseller and was also shortlisted for the 2018 Women’s Fiction Writers Association STAR Award. When not writing, you may find Heather collecting cookbooks or looking for excuses to travel. She lives in New England with her family and one feisty rabbit. Describe your writing process, including schedule, environment, strategies / techniques, and inspirations abstract and material. My daily process changes based on the needs of my household, but I try to sit down at least 3 (but hope for 6!) hours per day to write, edit, plot, or research. Sometimes that means I’m just picking at one paragraph and moving things around, if I’m feeling stuck that day. I do, however, try to aim for 1,000 words per day and 5,000 words per week if I’m in the drafting phase. If I’m editing, it depends entirely on the draft. If it’s a second or third draft, I’m still doing a lot of overhauling and layering, which means I move fairly slowly. Later drafts move much faster once the bigger elements of the story and characters are in place. I tend to work at Starbucks, my kitchen table, or at my desk, but it’s in my bedroom due to space restrictions so I don’t have a devoted office space, unfortunately. One day! It’s on my bucket list. 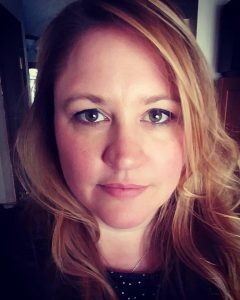 Walk me through your publishing process, from final draft to final product, explaining who on your team does what, and what marketing you do as the author. Elaborate upon going international, winning awards, and public speaking, please. Publishing is a tricky and dangerous process. Ha! Just kidding. Each of my books is very different, including many of the team members who work on them, so I’ll keep this simple. Each book is in process for about a year once it leaves your desk from multiple rounds of edits, to cover design, to marketing and sales materials so the book you read that hits the shelf has been finished for at least a year. If it took awhile to find a publishing home, it may be much older than that, and chances are, the author is either working on something else entirely or may even have another entire novel completed. In terms of marketing, authors do as much as they can to help promote, but at the end of the day, we don’t move the needle all that much unless we’re a very big name. It’s the incredible sales teams behind us, book placement in physical stores, and ads and promotions with online retailers. Tell me about your support system—online and IRL—and how that may shift during the progress from idea to launch. Who are your biggest cheerleaders? My biggest cheerleaders (beyond my family!) are my critique partners. They read early drafts and deliver feedback that is sometimes painful but always helpful. I can’t imagine where I’d be without them. I also happen to love them dearly as people. 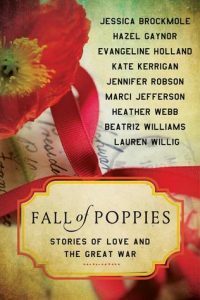 I have to give a shout out to some of my favorite organizations who have been incredibly supportive as well: the Writer Unboxed community, Tall Poppy Writers, Rocky Mountain Fiction Writers, Historical Novel Society, and the Women’s Fiction Writers Association. I feel incredibly blessed by my community. My colleagues are wonderfully talented, supportive people, and if I started listing names, I’d never finish. The writing community is truly special and unique that way. 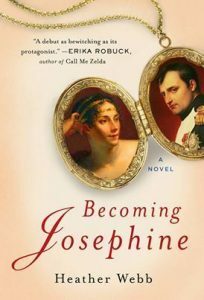 Did I read that you had a dream about Josephine, inspiring you to change your career from high school teacher to author? I find that astonishing! How does your life influence your art / work and vice versa? Where does research fit in, and do you have assistance? I did have a dream about her! It didn’t make me quit teaching, however. I resigned because I was expecting my second child and daycare would have eaten my entire teaching salary. (Pathetic, right?) So I made the choice to stay home with my babes. 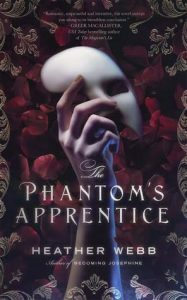 Before I resigned, however, I did have a persistent dream about Josephine, and I knew very little about her, so it was quite odd. I decided to check out a biography to learn about her and I fell in love instantly. I hadn’t even finished that first biography when I told my husband I was going to write a book. He looked at me like I was from another planet. So whether or not I resigned, I was going to write a book, damn it! As for research and assistance, I wish I had an assistant! I’m on my own, but I do love it. I try as often as possible to visit locations in person, utilize primary source material, and when necessary, I reach out to experts in certain fields. Indulging my creative side fills me with a kind of peace I can’t attain anywhere else. There’s something about going into your head and letting it riot with ideas and thoughts and dreams. I love the act of doing it as much as the end product, whether it be writing, cooking, or doing fun projects with my kids. Though at times, I have to admit writing can be frustrating when things aren’t working. But this is all part of the growing and expanding and trying new things. The challenge. We writers relish that part of the process on some level or why bother? Living a creative life feels like a gift and I definitely don’t want to waste it. 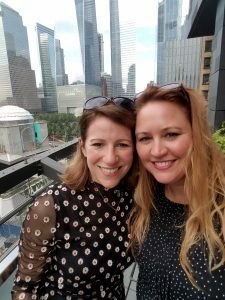 Author Extra: What’s your next book? Here’s a little blurb on my next book, Meet Me in Monaco, set to the backdrop of Grace Kelly’s wedding in 1956. It releases in July 2019, and I’ve co-written it with author Hazel Gaynor. We hope to have a cover soon! 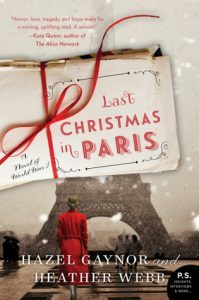 Set in the 1950s against the backdrop of Grace Kelly’s whirlwind romance and glamourous wedding to Prince Rainier of Monaco, New York Times bestselling author Hazel Gaynor and Heather Webb take the reader on an evocative sun-drenched journey along the Côte d’Azur in this page-turning novel of passion, fate and second-chances. Movie stars and paparazzi flock to Cannes for the glamorous film festival, but Grace Kelly, the biggest star of all, wants only to escape from the flash-bulbs. When struggling perfumer Sophie Duval shelters Miss Kelly in her boutique, fending off a persistent British press photographer, James Henderson, a bond is forged between the two women and sets in motion a chain of events that stretches across thirty years of friendship, love and tragedy. James Henderson cannot forget his brief encounter with Sophie Duval. Despite his guilt at being away from his daughter, he takes an assignment to cover the wedding of the century, sailing with Grace Kelly’s wedding party on the SS Constitution from New York. In Monaco, as wedding fever soars and passions and tempers escalate, James and Sophie—like Princess Grace—must ultimately decide what they are prepared to give up for love.